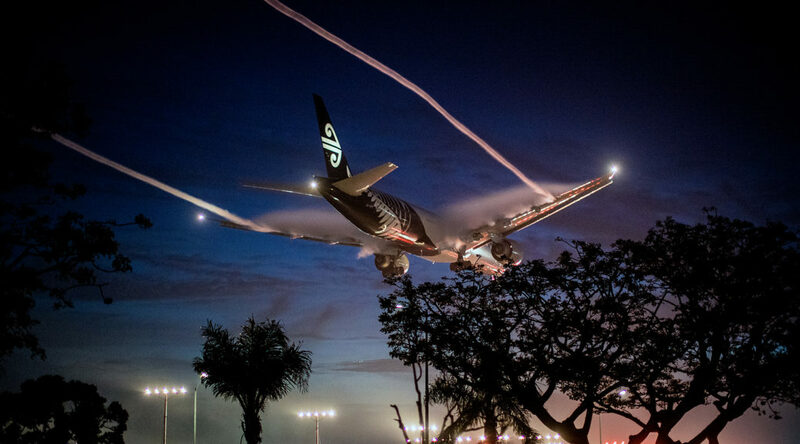 Passenger jet landing at LAX in a light fog, giving shape to the vortexes. Arriving at LAX under a full moon. On a particularly spectacular LA day, a passenger jet on final approach for LAX. Making its way to LAX, passing by a huge cumulous system above Los Angeles. The fairly-new Bradley Terminal at LAX. Taken from a London-LA flight. On a foggy evening, an arriving airliner seen through the trees. About to land under a full moon. A giant Airbus A-380 about to settle onto an LAX runway. Landing jets lined up for an LAX runway on the evening of a full moon. In the landing pattern at JFK in New York. An A-380 making the broad right turn into Los Angeles International Airport. Landing in a snowstorm in Pittsburgh, Pennsylvania. A Delta 4 Heavy rocket leaves Vandenberg in California. Patiently awaiting a lengthy flight to London’s Heathrow. Pushing back from the gate on a night flight to London.